Every so often a book comes along that you believe everyone should read. 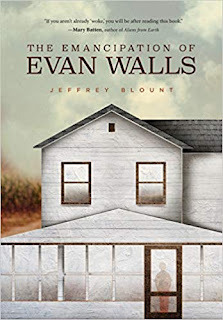 For me, The Emancipation of Evan Walls by Jeffrey Blount is that book, a story in which not only the protagonist, Evan Walls, is liberated from the demons of his youth, but through which receptive readers will be freed of uninformed notions about what it was like to grow up black in America before, and after, emancipation. This incredible story, might shock you, or at the very least, will move you to tears. Either way, you won’t forget it any time soon, if ever. As a wide-eyed, curious and intelligent youngster, Evan loves the weekly gathering of friends and family for Kool-Aid, chatter and gossip on his parents’ verandah. At one such gathering, he tunes into Bojack’s grumblings on the status of the black people of Canaan who seem content with, and intent upon staying where years of white suppression have put them ie. not seeking to better themselves, to get an education, and one day become somebody who matters. Evan takes Bojack’s views to heart and from that point on is determined to make something of himself. He learns to read; he slowly replaces his “black” way of speaking with proper English. He is mentored for years by both Bojack and his beloved great-grandmother Jennie, but along the way he is rejected, not just by his peers who see him as an Uncle Tom and as turning his back on his race, but by his own status-conscious mother and father. After schools become integrated, the friendless, unloved and abused Evan finds friendship in some white classmates. Unfortunately, that fuels even more anger from his family, and triggers complete isolation and violence from his black brothers. Despite a broken heart and incredible loneliness, Evan weathers it all to become a star athlete. But even that cannot salvage the damage his determination to become a somebody has caused in his personal life. He has broken the unspoken rule of accepting the status quo, of fitting in with everyone, and now he must pay the price. The Emancipation of Evan Walls is a gut-wrenching read, delivered by a brilliant, award-winning author and television director, Jeffrey Blount. 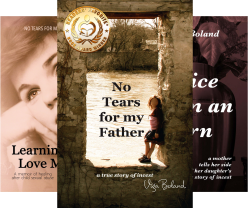 He is a master of telling a story, revealing characters and their motivations primarily through dialogue. This style of writing not only makes his characters utterly realistic and emotionally engaging, but also moves the story along quickly. This is one of those books that keep you turning pages, not because of non-stop action or unexpected twists and turns, but because of the stark reality and truths explored through the characters and setting. The Emancipation of Evan Walls is utterly riveting reading and I cannot recommend it highly enough. Brilliant!